Pablo Schreiber is having a moment. As menacing corrections officer George “Pornstache” Mendez on Orange Is The New Black he stood out among so many amazing characters thanks to his horrifying, and at times hilarious, creepiness. With a simultaneous stint on Law & Order: SVU as serial killer William Lewis, Pablo’s perfected the art of playing monsters. Now he’s stepping out of the dark side to play good cop Virgil on Ironside, NBC’s new cop drama debuting tonight at 10/9c. (The show is actual a remake of one that aired on NBC from 1967-1975.) We chatted with the actor over the phone while he was on a break from shooting Ironside in Los Angeles and talked about fatherhood, fandoms and how Dolph Lundgren inspired that ridiculous Pornstache haircut. Let’s start with Ironside. It has a very dark, gritty crime-drama feel that’s seems timeless. Had you seen the original? Yeah, that’s a pretty good description. Obviously we’re working from source material that’s already there in terms of the concept of the show. I think part of what gives it its timeless feel is that it’s a character that’s already established. But other than the detective in the wheelchair there’s pretty much no other similarities between our show and that one. And I’d say gritty and dark is pretty much the best description of the world of our show. It does feel quite gritty and dark. Because of the wheelchair there’s so much movement in all of the scenes; Blair’s [Underwood] always on the move and therefore the cameras are always on the move, so the show really flies along at a good pace. I really like that. It kind of mirrors the hustle and bustle of NYC, which I love as well. It seems like your character Virgil is going to be a good guy. After SVU and OINTB, is it nice to be on the good side of the law this time around? Yeah it’s more than nice [laughs]. It was absolutely important. It was the reason I’m doing this job, because the last two things that I came off of were harsh characters doing terrible things. I was really interested in getting back to something a little closer to me. I have two kids at home; this character has two kids, both of us have two boys. So [I was excited] to get to play a father who takes his job very seriously and is battling the dark forces within himself, versus all of his good impulses to be a protector and a father. I have two kids as well and I now find certain things incredibly hard to watch in movies and on TV. Does being a dad influence the roles you now take or don’t take? I don’t think it has! Maybe only in terms of pushing me further to do more drastic things. If I was going to find any pattern it would have to be after the fact, it certainly wasn’t a conscious choice. But after coming off of OITNB and SVU I can definitely look in my rearview mirror and say I did some pretty extreme things. So it doesn’t seem like having children made me soften my choices [laughs]. If anything it seems to have pushed me in the opposite direction, maybe because I have such a normal and calm and healthy existence. It forced me to want to play in the dark edges in my spare time. So it lets you act out in a safe way? Yeah certainly my life over the past four to five years has been very safe and gentle and loving and kind – all of the things that the last two characters I played are not. This is only looking at it in retrospect and trying to find some pattern, but if I was to look at those last couple of choices, I could definitely see that there may have been some desire to do something that was really far from the life I’m living. That’s always my impulse as an actor is to try to play characters that are as far from my existence as possible, and to play characters that are as far from each other as possible. When I first saw you on OINTB, my immediate reaction was “It’s Nick Sabotka from The Wire!” Is it annoying to be recognized solely as the characters you’ve played in the past? It hasn’t reached the point of being incredibly annoying for me yet. I think there’s two sides of it. If people recognize you from something and have you lodged in their head as something it means you’ve made an impact, so that’s flattering obviously, to have people be very connected to a character you played. Then the other side of that is the limitations of it, having people only be able to see you as this past thing. I feel like so far in my career I have played a variety of things, so that there are enough people who have different images of me so that I have yet to fall into the trap of having one that really defines me. I have people who recognize me from Weeds, from The Wire, and there are people who saw me on SVU. As long as those preconceived notions of me are drastically different in different people’s minds then I’ll continue to be happy. I have to say though, if there was every a character or thing that took off in such a big way that I was forever associated or known for that thing, it would definitely be a blessing and a curse, I think. It feels like Mendez could be headed that way. You know, I read a bunch of interviews with you and people consistently seem to be disappointed that your mustache on OITNB is not real. It’s true! I don’t know what accounts for that. If they thought it was real, why are they worried? If you believed it, then why are you upset? If they suspension of disbelief was working for you, why are you arguing with that? It’s so interesting – people know you’re playing a character and they want some physical elements to be real. The character has such a strong identity, he’s so clearly who he is, that I think when people who are introduced to my work from OITNB see me out of that character there are split reactions. There is, like you said, kind of a disappoint of “Well he’s not that guy.” Because the character is so distinct I think there is a real hope that that guy exists somewhere in the world. Which he clearly does – we’ve all seen Lock Up Raw; we’ve seen that guy, we know he exists. And then there’s just another reaction of complete shock and awe that a person who looks like me would actually be playing a character who looks like that because there is such a far distance between the two likenesses. At least you don’t have the hairdo in real life. Personally I find the hairdo to be more offensive. They nailed it! That is a fitting tribute and something Mendez would ask for. It’s true! 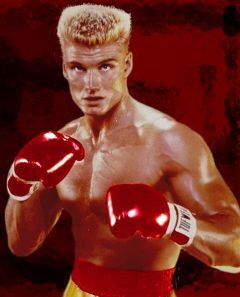 Maybe somewhere down the road Dolph Lundgren will be bring in a picture of Pornstache and ask for that hairdo. Is there something special about playing NYPD as a New York resident? An added responsibility? I didn’t really feel too much of a responsibility in playing NYPD. It’s not like I’ve been yearning to get around to my big cop role. I feel a great responsibility to any character I play in finding who they are and what makes the time. Part of that is the job and what it’s like to be on the job, so I definitely felt a responsibility to the people I met in doing research and finding out what it was like to be an NYPD officer. I felt a responsibility to them to tell a clear story, but it didn’t come from a burning desire to be on a cop show. You’ve been on Weeds, The Wire, SVU, OITNB and they all have strong fan bases, especially on Twitter where people can access you and give you their thoughts. Definitely SVU is the biggest most passionate fanbase as far as I’ve experienced on Twitter. The Wire has a very rabid fan base and people really love the show, but I experience that much more out in my life in the day to day world than I do on Twitter. SVU is just nuts. I think it was because I played the bad guy on this year’s episode that I kinda was the target. The SVU fandom really gets into living their reality as if it’s true. They take Olivia Benson to be kind of the queen and anything you do to threaten their power structure is very, very bad, and I suffered the consequences for threatening their dear Olivia. I really admire the passion they have for their show because it’s nice to know people really care about TV shows these days. Yeah, I would say probably Crazy Eyes. Uzo Adubo is a phenomenal actress. They’re all fantastic. The amount of really talented women on the show is really incredible. But I think Uzo would really be my number one. You’ve said that you like to pick roles unlike anything you’ve done previously. What do you see is your next role? Right now what Im doing is Ironside, which is very different [from OINTB and SVU] and that’s my focus right now. When and if this ends I’m not sure where I’ll go, but if it ends I will say I cant imagine wanting to go back to being the bad guy anytime very soon. I definitely got my share of that. Other than Pornstache, who will continue to find his journey as we go along. But other than that I think I’ll definitely be looking to play nice and likable guys for a while. Does it affect how you feel when you’re not on set? Yeah it does. My character on Law & Order SVU was a really gross character to play. He just had zero remorse and zero empathy. Pornstache was a little different because it was so based in and infused with humor. The character was really awful and behaved terribly. But part of the character was always the humor and the fun and that kind of took it out of being difficult for me. I think I had more fun playing that character than I’ve ever had playing any character in my life.